For eight years, Calgary's best and brightest in tech and digital design have been meeting for drinks. 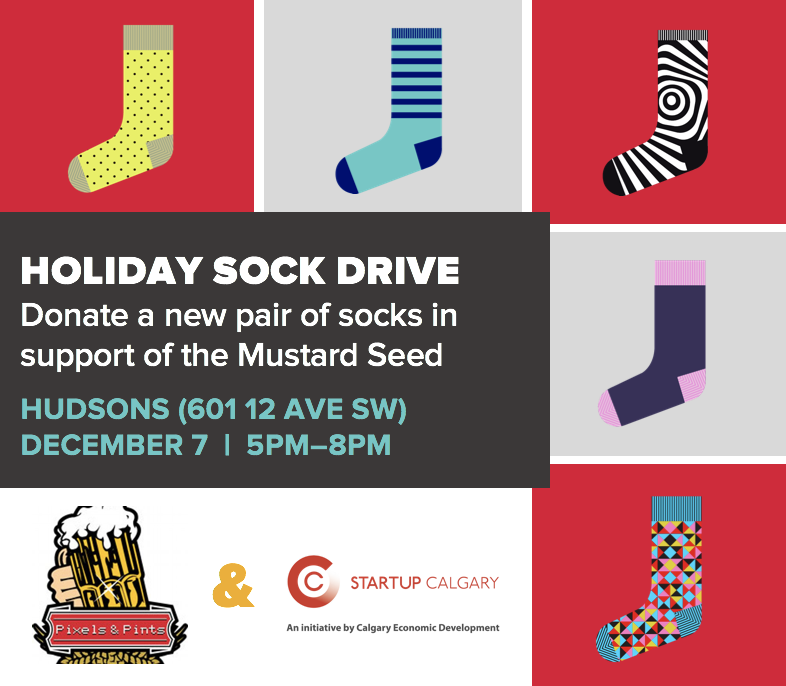 This will be our 3rd Annual Holiday Sock Drive in association with Startup Calgary. Bring new (not used/crusty/stolen) socks for donation at the name tag table. We meet the first Thursday of every month.